I don’t know how the weather is in your neck of the woods, but around here there is really no sign of Spring. That groundhog varmint was right and we have been firmly in the grip of an arctic vortex with temperatures lower than they have any right to go here in the supposed southern state of Virginia. 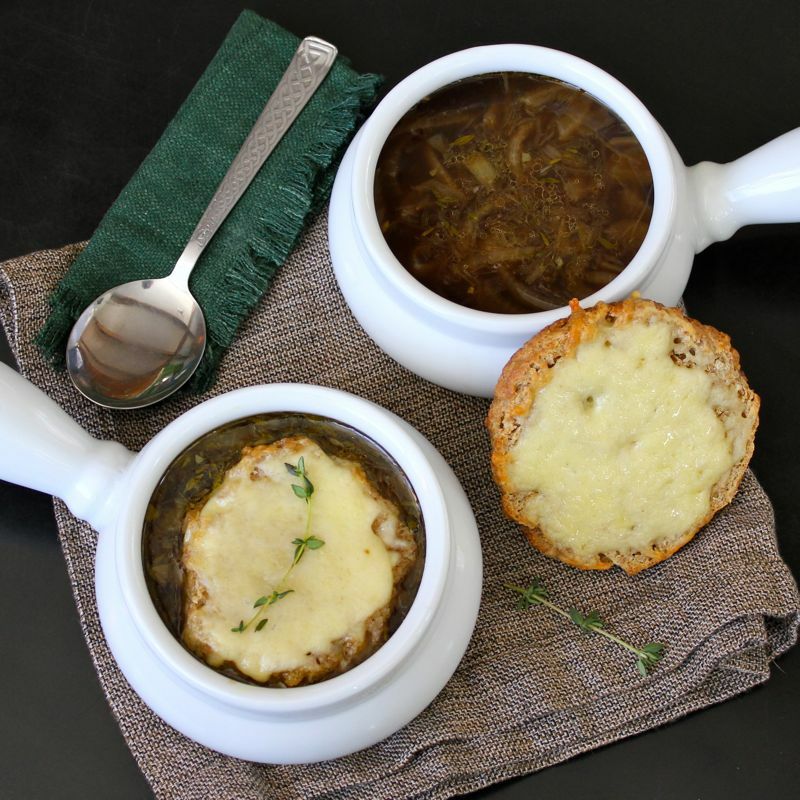 The latest go round of snow and frigid temps really had me craving a big bowl of French Onion soup. But since St. Patrick’s Day is nigh, I decided to Irish it up a bit. Just how do you do that you might ask. Well, how about adding in a splash or two of Irish Whiskey (you know my brand by now right – Jameson’s) and a glug or so of Irish Stout. This is where I’m going to get a little tricky on you though. I know a veritable river of Guinness has been flowing out of my kitchen lately. It is the Irish stout that is most widely known and I’m a fan. However, I went to college in Cork, Ireland and in that part of the country, Guinness is not King. Murphy’s Irish Stout– aka The Rebel Stout holds court there. 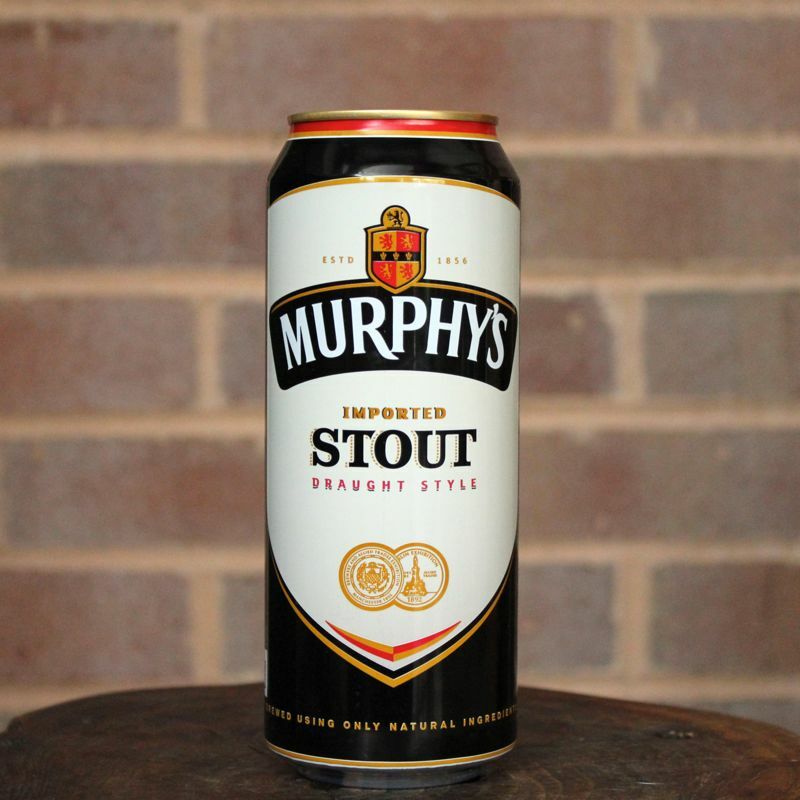 You see Murphy’s Stout is similar to Guinness but a bit less heavy and with fewer bitter notes. It has been brewed in Cork since 1856. Why is it called “The Rebel Stout”? That has to do with its County Cork origins. Historically, Cork has been known as the Rebel County, a name it acquired due to the prominent role it played in the Irish War of Independence (1919-21) as well as the fact that it was an anti-treaty stronghold during the Irish Civil War (1922-23). Murphy’s Irish Stout is widely distributed outside of Ireland and you could likely easily find it at your local grocery, especially this close to St. Patrick’s Day. Next time you see it, grab some and give it a taste. You could even do a stout tasting with Guinness, Murphy’s and a few of your local brews. Sounds like fun huh? But I guess I should get back to this soup. Having spent all that time in Cork, I feel I would be remiss if I didn’t give Murphy’s a shout out. 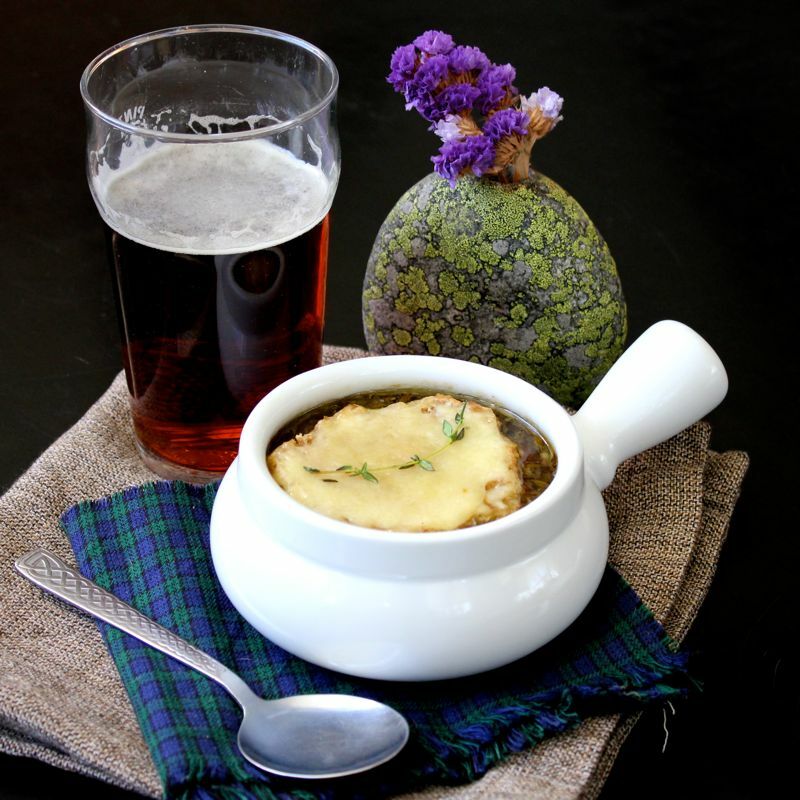 I used it for this Irish Onion soup and I couldn’t have been more pleased! 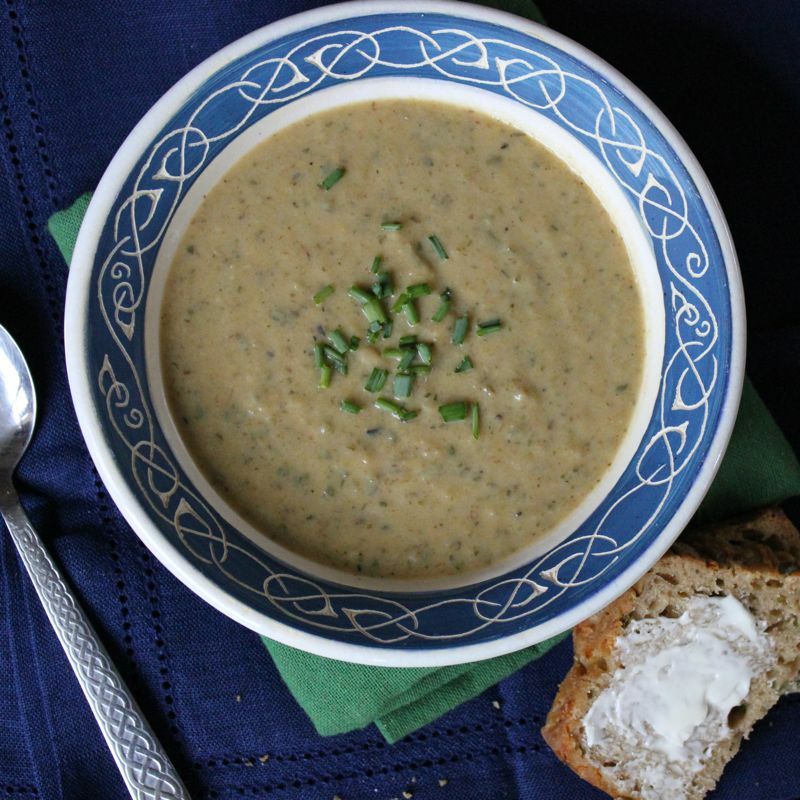 The malty notes from the Murphy’s Irish Stout gave this soup quite a rich and deep flavour. Yet, it still wasn’t quite Irish-y enough for me. So instead of topping my onion soup with the usual toasted french baguette slice, I baked up some mini Irish soda bread loaves which I split in half and used in lieu of the french standard. 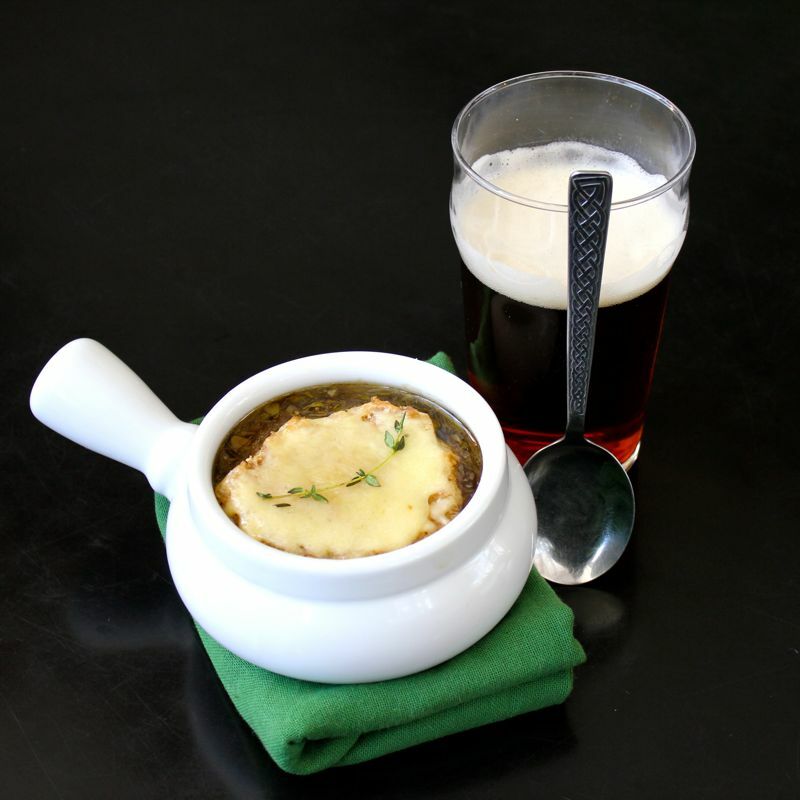 Topped with grated Kerrygold Cheddar Cheese, you have a crouton worthy of this hearty Irish Onion Soup. guaranteed to warm you on the most polar vortex-y of days. In a heavy bottomed pan, melt the butter, cook onions over medium to medium-low heat for 1 hour, stirring every so often. Add whiskey, flour and pinch of salt. Cook for 4 minutes, stirring often. Add garlic, cook until fragrant, about 2 minutes. Add Murphy’s (or Guinness) and simmer until reduced by 1/3, about 5 minutes. Add broth, thyme, pepper and remaining salt. Bring to a boil and then simmer for 45 minutes to 1 hour. In a medium-sized mixing bowl, whisk together the flours, sugar, baking soda and salt. 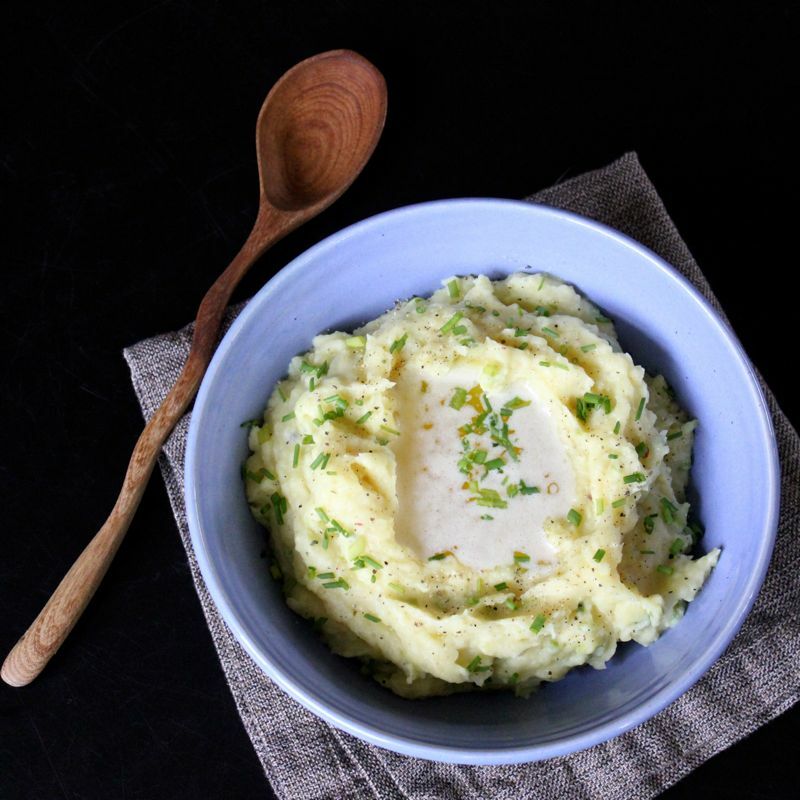 Using a mixer, a pastry fork or blender, or your fingers, cut in the butter until it is evenly distributed and no large chunks remain. 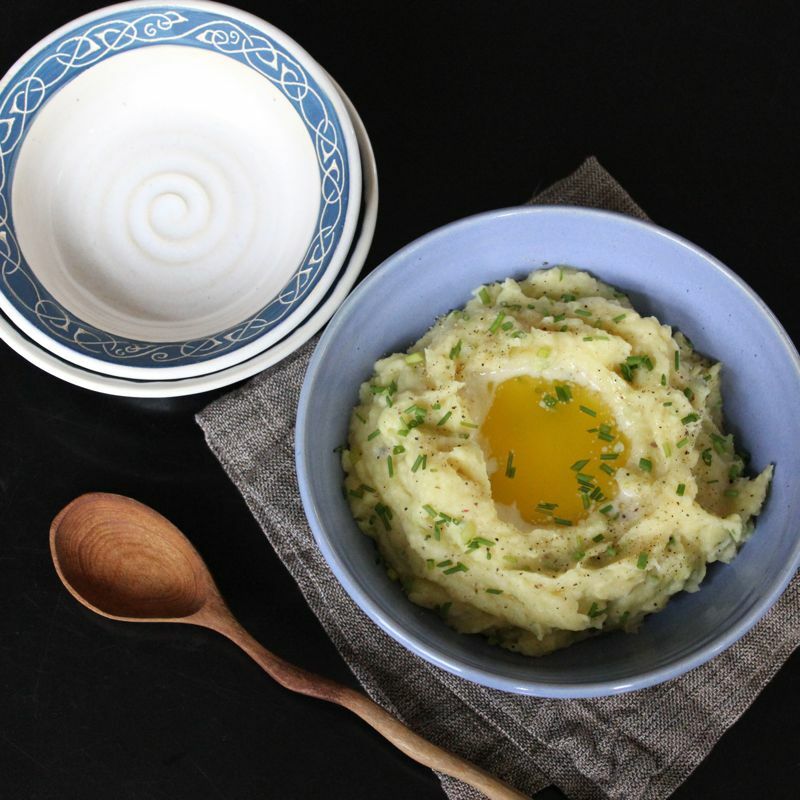 In a separate bowl (or in a measuring cup) whisk together the buttermilk and egg. Pour this mixture into the dry ingredients and mix to combine. The dough will be stiff; if it’s too crumbly to squeeze together, add another tablespoon or two of buttermilk. Knead the dough a couple of times to make sure it’s holding together. If you are making individual mini loaves, divide into 6 equal sized pieces. ( 5 ounces each). Shape each it into a ball. 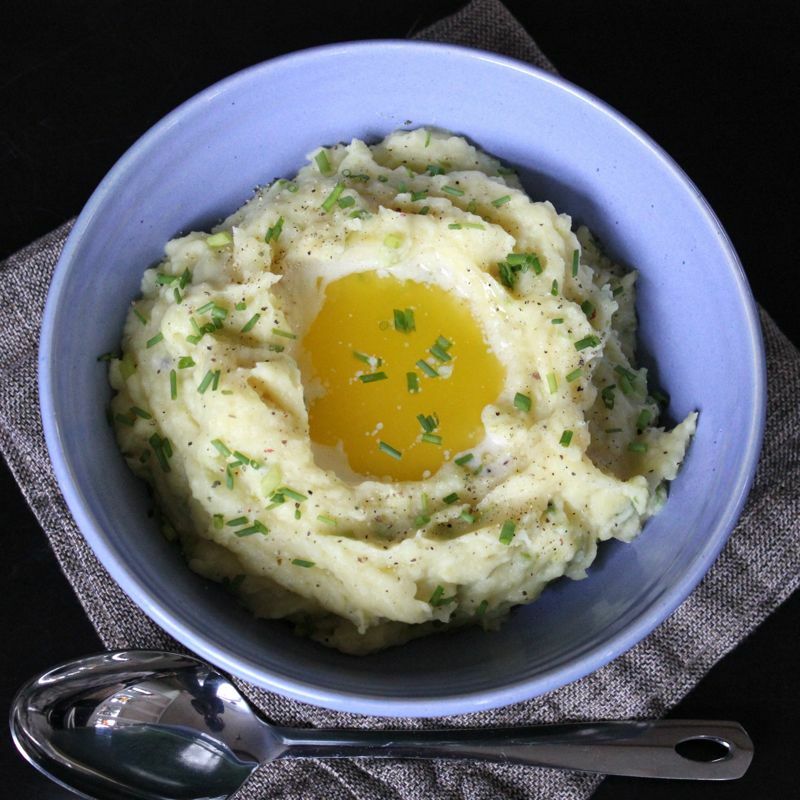 Flatten the ball slightly, and place on a parchment lined baking sheet. Use a sharp knife to cut a cross, extending all the way to the edges, atop each loaf. Bake the bread in a preheated 400°F oven for 25 to 30 minutes, until it’s golden brown and a cake tester inserted into the center comes out clean. Remove the bread from the oven, and brush the top with melted butter and sprinkle with flaked sea salt. It is day #5 of my St. Patrick’s Day countdown, which means there are only 12 days to go to the big day! I figured it was time to blog about something sweet. How about something sweet, with a wee bit of alcohol (strictly for medicinal purposes mind you) and a little caffeine to keep to moving? 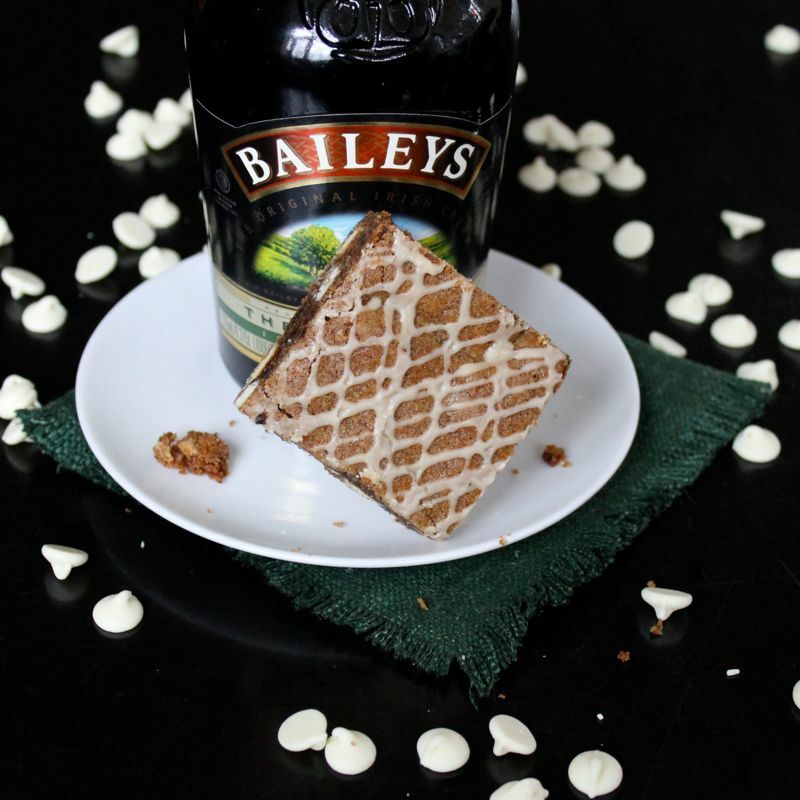 I’ve got it all right here for you in these White Chocolate & Baileys Coffee Bars. 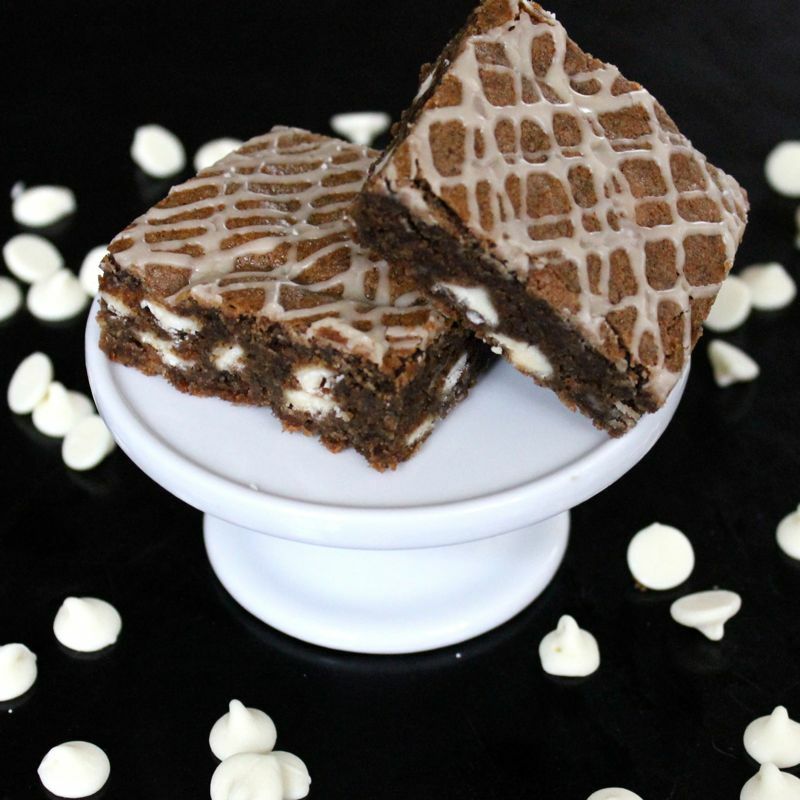 These bars are nothing short of addictive! 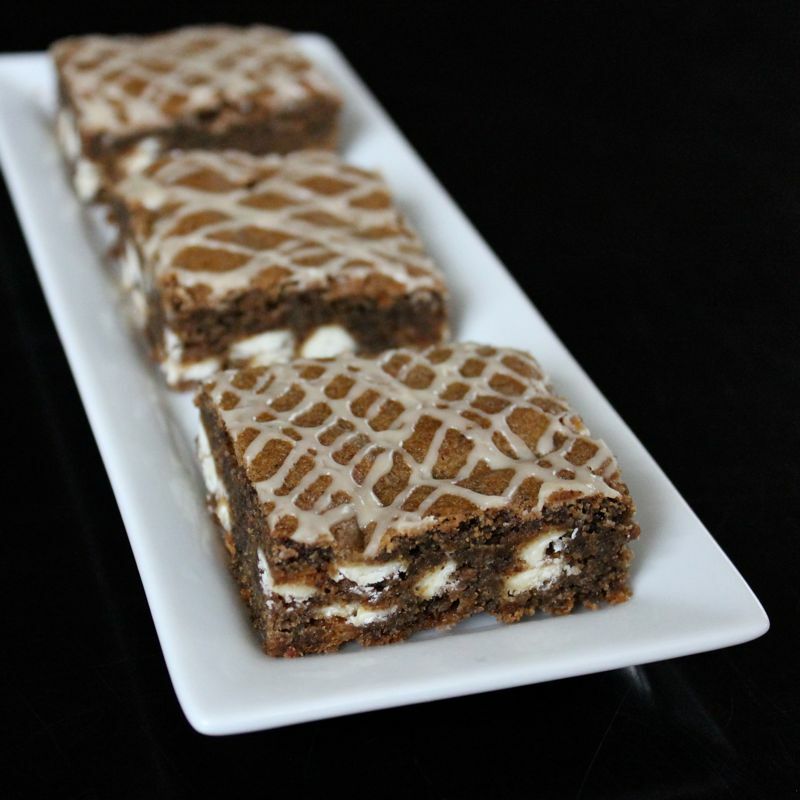 Chewy and moist with a buttery, coffee flavour, you will find you just can’t leave them alone. And then there is that richly decadent Baileys Irish Cream glaze drizzled liberally over the top. So good you could eat it straight out of the piping bag (not that I know anyone who would do that). The original recipe called for sliced almonds to be scattered over the top of the bars before baking. My husband doesn’t care too much for nuts mixed into cookies or brownies, so I left them out. They sure do look pretty on Peanut Butter & Julie’s blog though, so if you like nuts, you might want to consider adding them in. 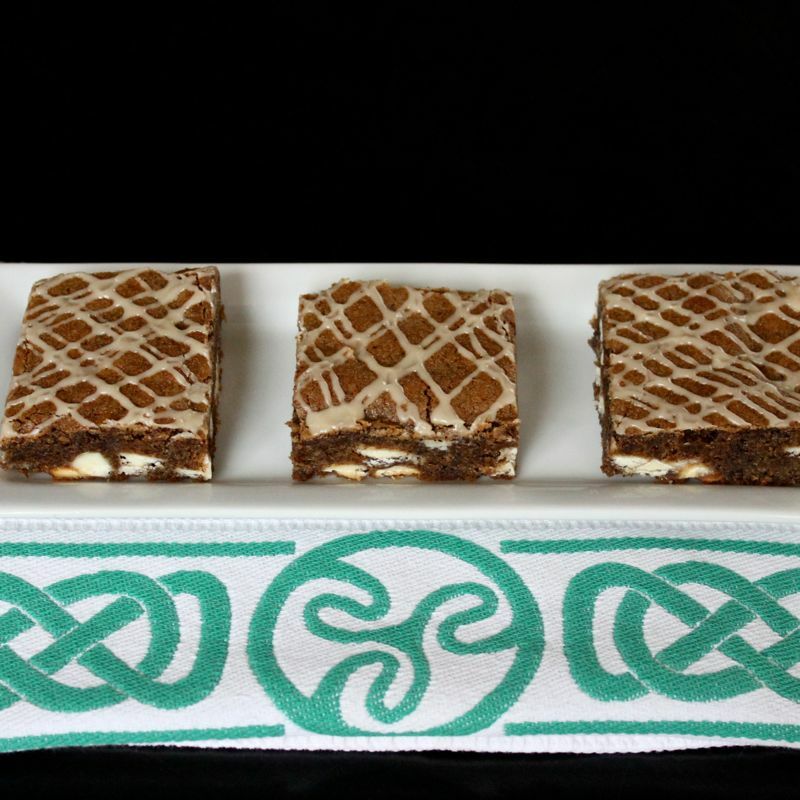 These White Chocolate & Baileys Coffee Bars are just perfect for dessert, or great at your afternoon tea or coffee break as a little pick me up, or come to think of it – just fabulous for breakfast. I mean they are a bit caffeinated, you know to get you going in the morning. What is that you say? There’s alcohol in them? Oh, well everyone knows alcohol bakes out of desserts. Oh yeah, I guess the glaze isn’t baked. Hmmmm…..perhaps that’s why my day started off so lovely! Preheat the oven to 350° F degrees. Line a 9X13-inch baking pan with aluminum foil so that there is a 1-inch overhang, and spray the foil with nonstick baking spray. In the bowl of an electric mixer fitted with the paddle attachment, beat the butter and brown sugar at medium speed until creamy, 3-4 minutes. Add the eggs, one at a time, beating well after each addition, and continuing to beat for 1 minute more after the last egg is added. Beat in the vanilla. In a medium bowl, whisk together the flour, espresso powder, baking powder, baking soda, salt, cinnamon, and nutmeg. Add the dry ingredients to the wet ingredients, mixing on low-speed until incorporated. Remove the bowl from the mixer and stir in the white chocolate chips. Pour the batter into the prepared pan, smoothing the top with an offset spatula. Sprinkle the almonds evenly over the top. Bake until the top is set and a toothpick inserted into the center of the pan emerges clean, 24-28 minutes. (It actually took about 35 minutes for my bars to cook, so just watch a make sure the top is set.) Transfer the pan to a wire rack to cool completely. For the Irish Cream Glaze, whisk together the confectioners’ sugar and the Baileys in a bowl until thoroughly combined. Add enough of the milk/cream to achieve a thick glaze that is still of drizzling consistency. Transfer the glaze to a small zip-top bag, seal, and snip a small corner off the end. Use this as a “piping bag” to drizzle the glaze over the bars. Allow the glaze to dry for at least 30 minutes, then cut into squares and serve. Everyone knows that “Guinness is Good for You”. 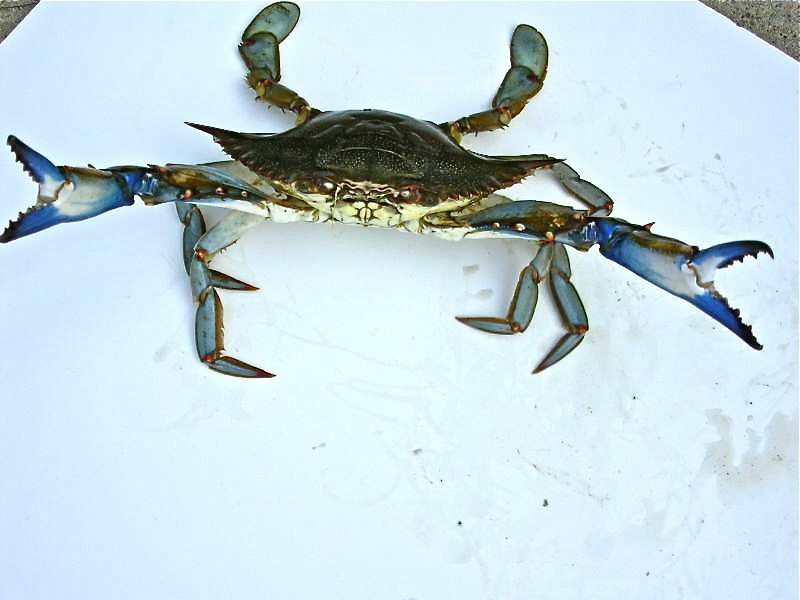 And I’m sure ya’ll knew that its appearance as a featured ingredient in several of my St. Patrick’s Day recipes was inevitable. 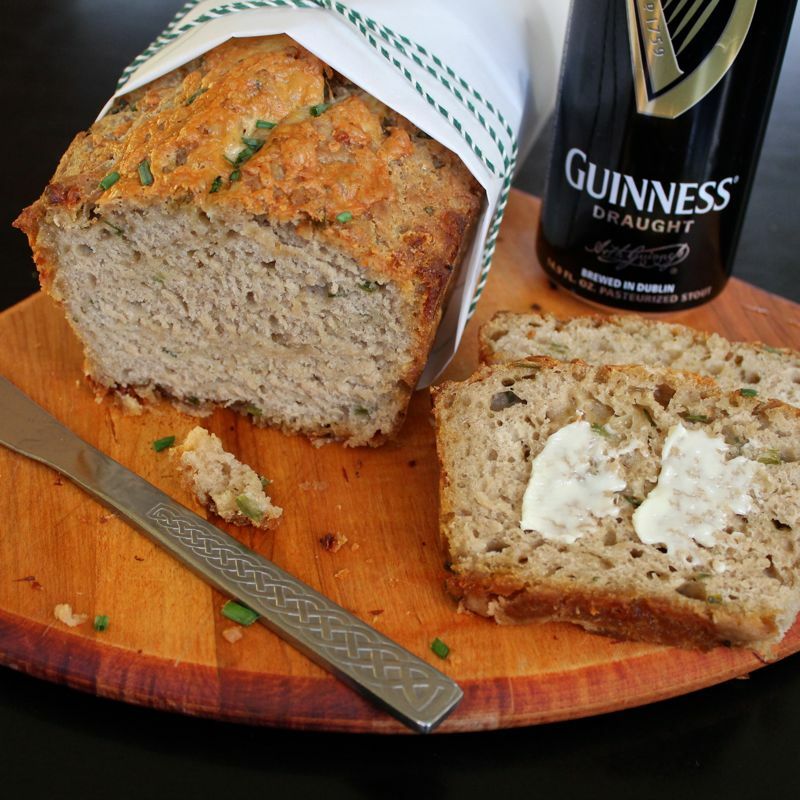 So here we go with a great beer bread that is just chock full of quality Irish ingredients, Guinness Irish Stout, Kerrygold Irish Butter, and Kerrygold Dubliner Cheddar cheese. You should be able to find all of these ingredients at a larger grocery store. I certainly know that Guinness is widely available. If you can’t get ahold of any brand of Irish Cheddar or Butter, you can of course substitute in other quality brands. 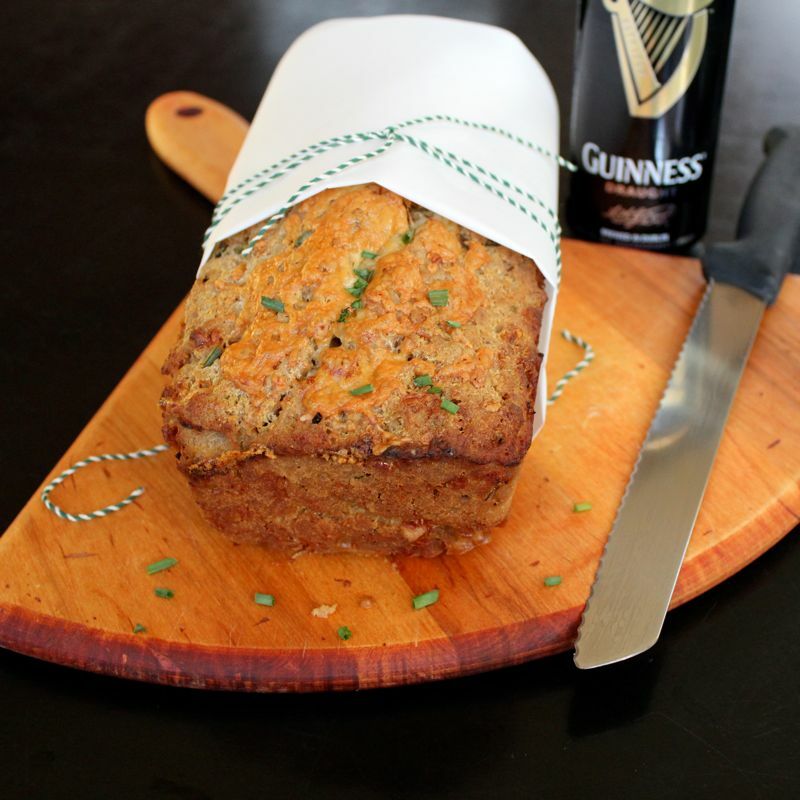 Do whatever you need to do, but definitely make up a loaf of this bread for St. Patrick’s Day. 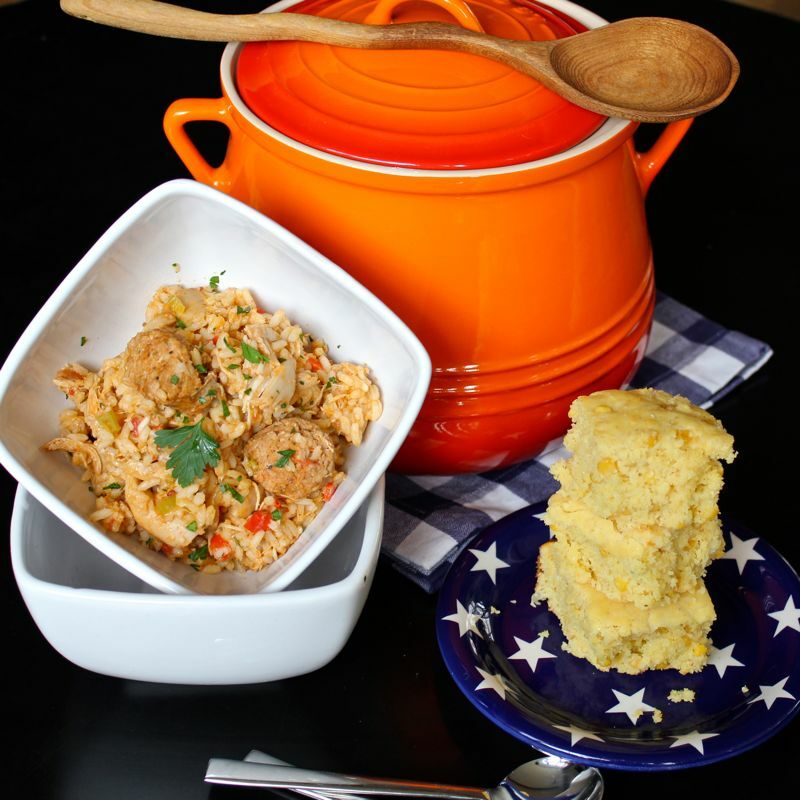 It is absolutely delicious and easy! Yes, that’s right, I said easy. This is a “quick bread”. That means there is no yeast involved, so there is no bothering with rise times. Well, that is a bit of a lie. The bit about the yeast not being there. In beer breads, which this is, the beer provides the yeast for you and that is what acts as the leavening agent. And this bread does have a wee bit of baking powder thrown in as well. You’ll have this loaf mixed up and in your oven in no time flat! 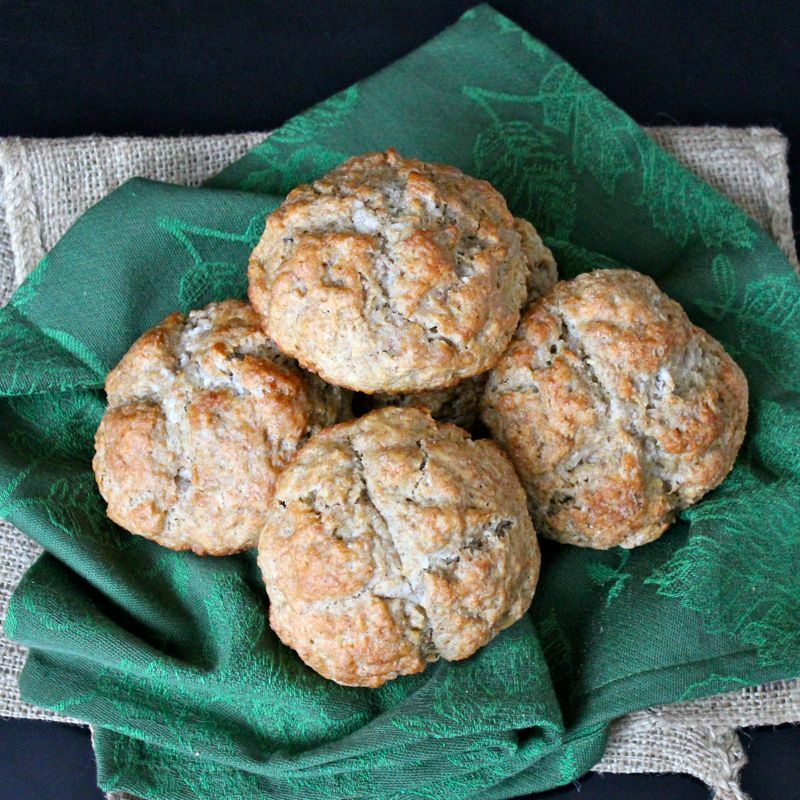 Your house will smell heavenly with the aroma of that fresh baking bread. 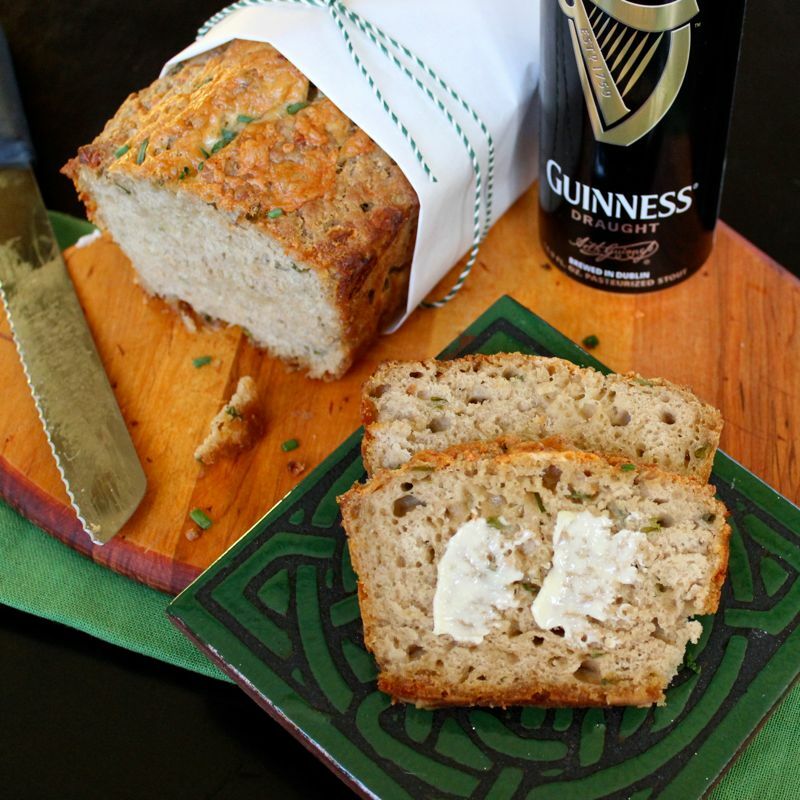 And oh…when that mouth-watering Cheddar & Chive Guinness Bread is ready…hold on to your hat! 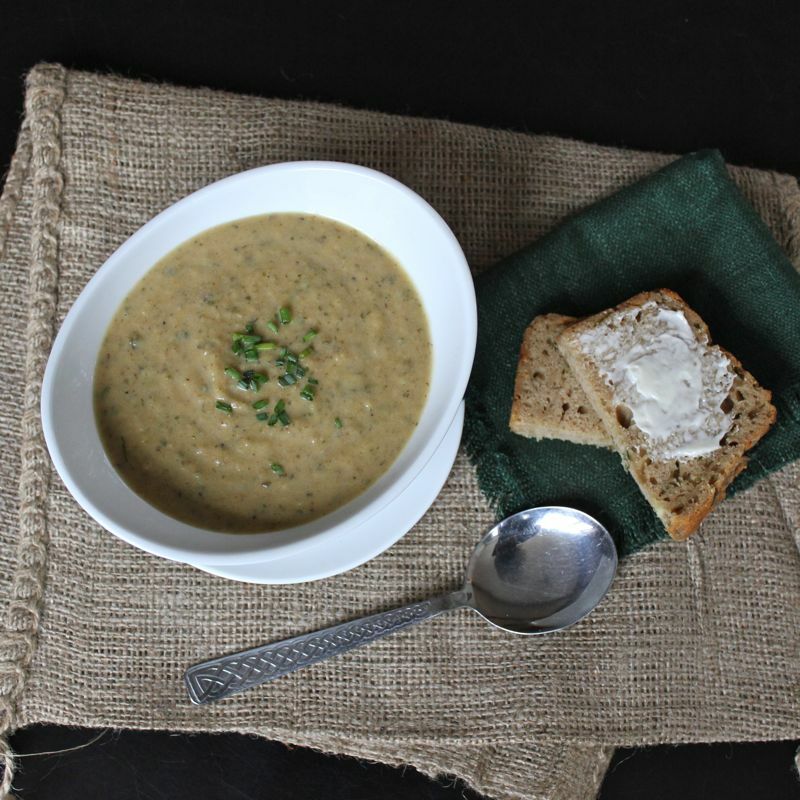 The moist, tender, savoury center of the bread is surrounded by a buttery, crunchy, chewy crust. 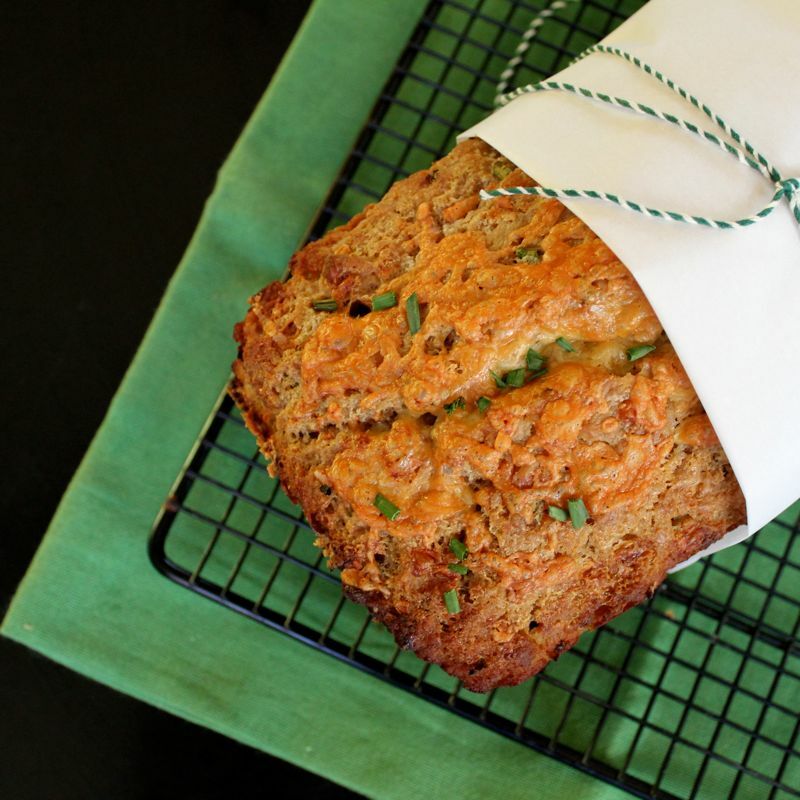 The cheddar flavour is quite evident and woven throughout the loaf. So many cheese breads only taste distinctly of the cheese when you are biting into a big chunk of it. 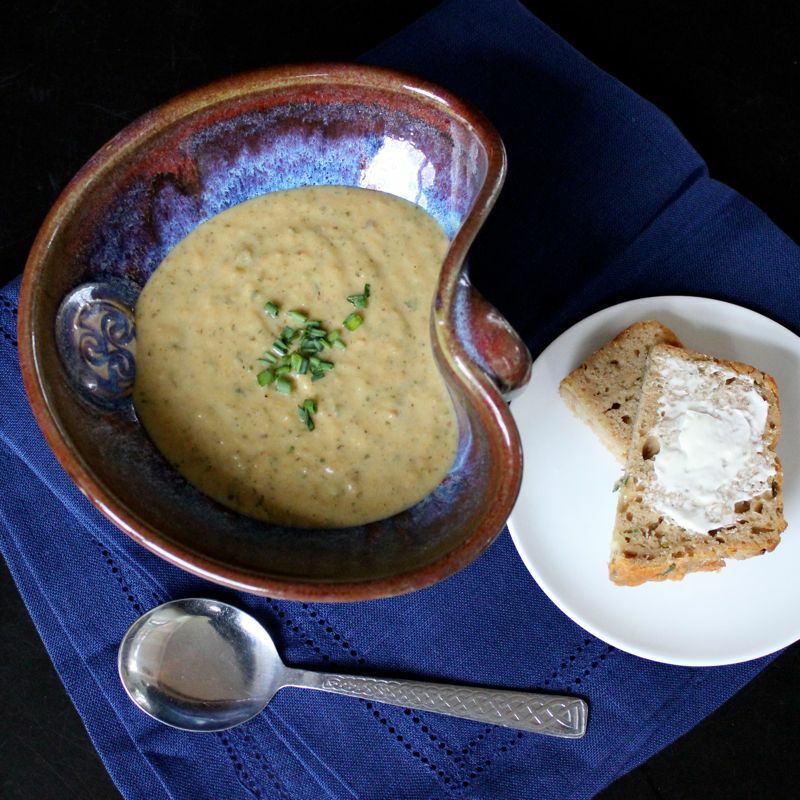 Serve it slathered with more butter or with a nice hearty bowl of soup. It will definitely be love at first bite! In a mixing bowl, thoroughly whisk together the flour, sugar, baking powder, and salt. 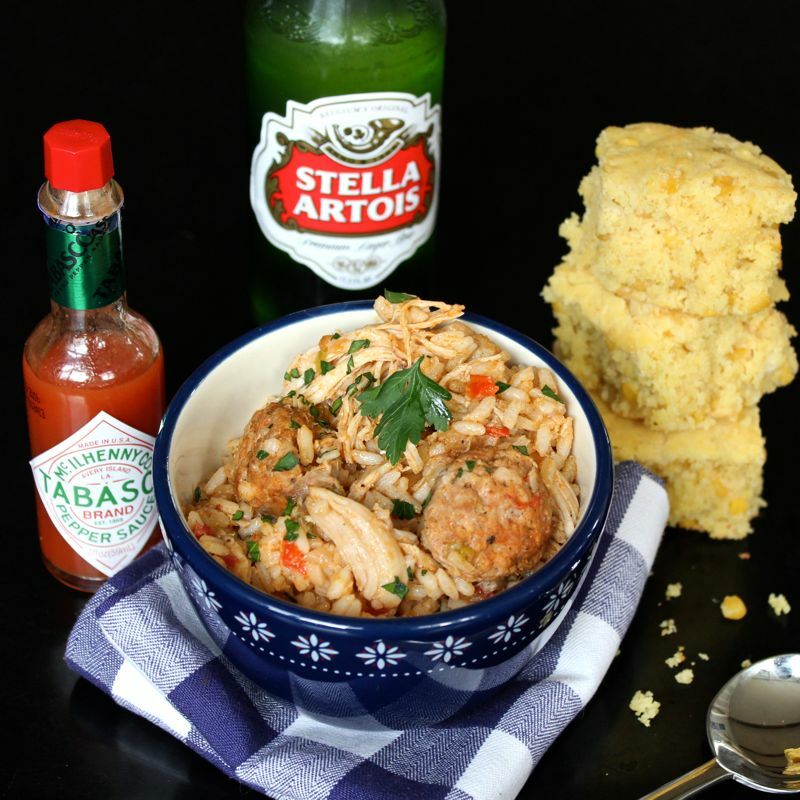 Pour in the beer and mix until the dry ingredients are evenly moistened. Fold in 3/4 cup of the cheese and the chives. Transfer the batter to prepared pan. Pour the melted butter evenly over top of the dough. Bake about 30 minutes then scatter the remaining 1/4 cup of cheese over the top. Return the loaf to the oven and bake 15 to 20 minutes longer or until a tester inserted near the center comes out clean. Cool in the pan for 5 minutes. Turn out and serve warm, sliced. Alright folks! Here we go now. Day #2, St. Patrick’s Day countdown. 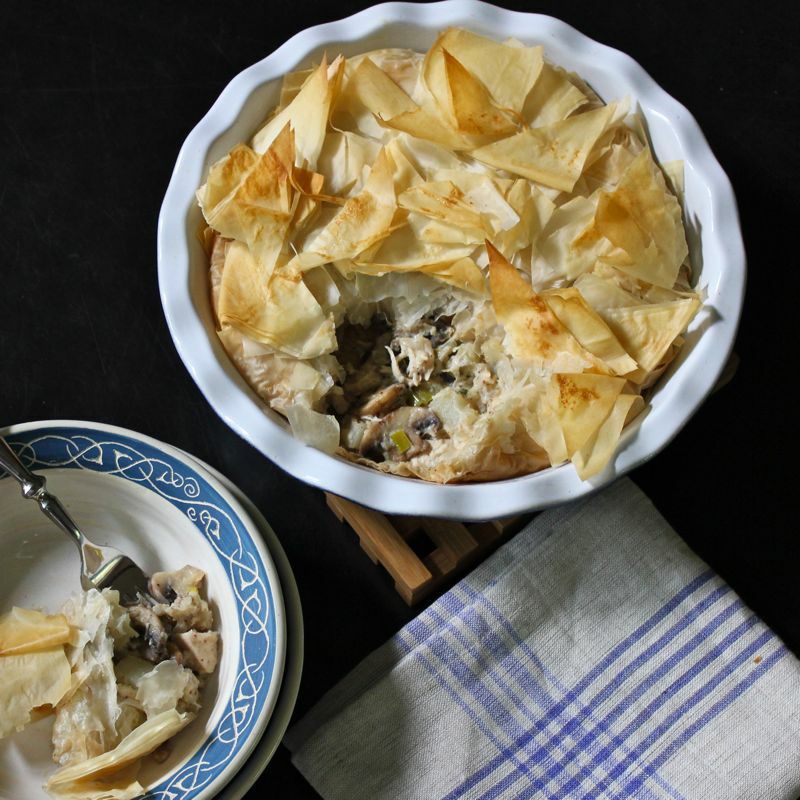 Today we have a traditional dish, Potato, Leek & Chicken Pie, but this has a bit of a modern twist thrown in with the substitution of phyllo pastry for traditional pie crust. Last St. Patrick’s Day I gave you a wonderful recipe for Chicken and Leek Pasties, which are still a favourite around here. This new recipe is quite similar to that one as far as the filling is concerned. There is tender chicken and delicious leeks. I told you leeks would be putting in an appearance in quite a few dishes this year. Speaking of leeks, yesterday, March 1st, was St. David’s Day. St. David is the Patron Saint of Wales and the leek was his personal symbol. Along with the Daffodil, it is one of the national emblems of the country and is worn in his honour on folks lapels on St. David’s Day. 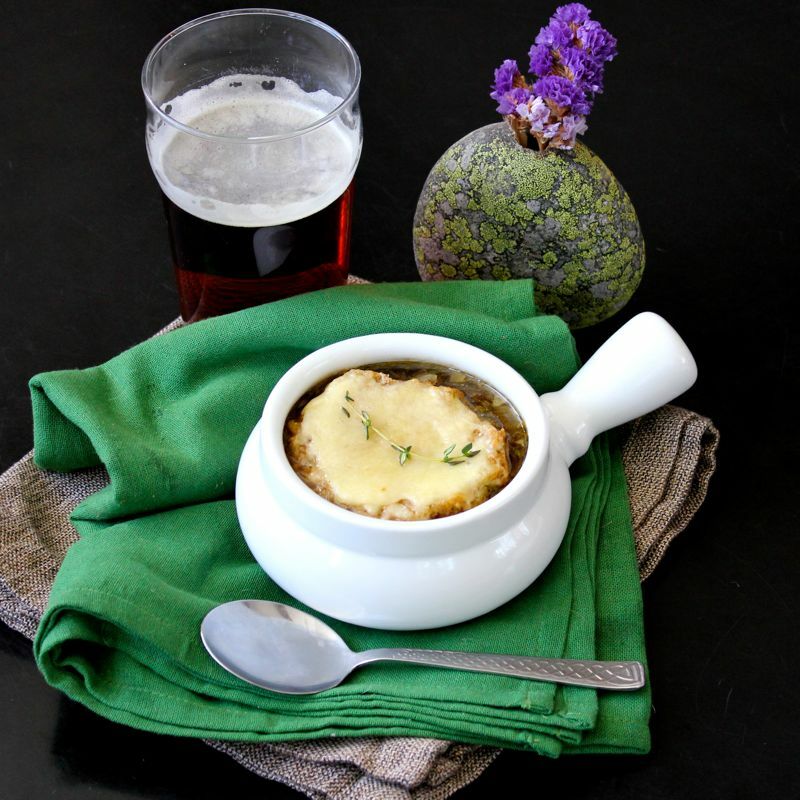 But enough of the leek talk for now, back to the Pie recipe at hand. 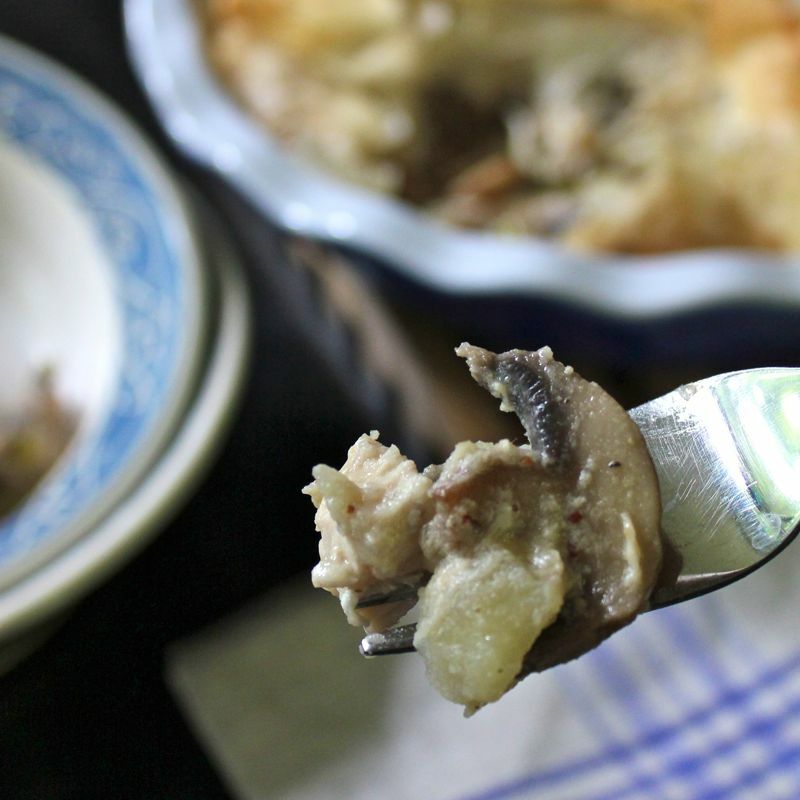 This new fangled Potato, Leek & Chicken Pie recipe differs from the Pasties filling in that it throws in some potatoes and mushrooms for good measure! As far as I’m concerned you can’t go wrong by adding either one of those ingredients. And the phyllo pastry is great in that it provides a wonderfully crispy topping. I know that in the past, I have complained quite a bit about working with phyllo pastry. It is quite fiddley, annoying work, but I freely admit, it is worth all the fuss in the end, because phyllo is so dang delicious. Crunchy, buttery perfection! With that sublime, savoury, creamy filling, you just can’t go wrong! 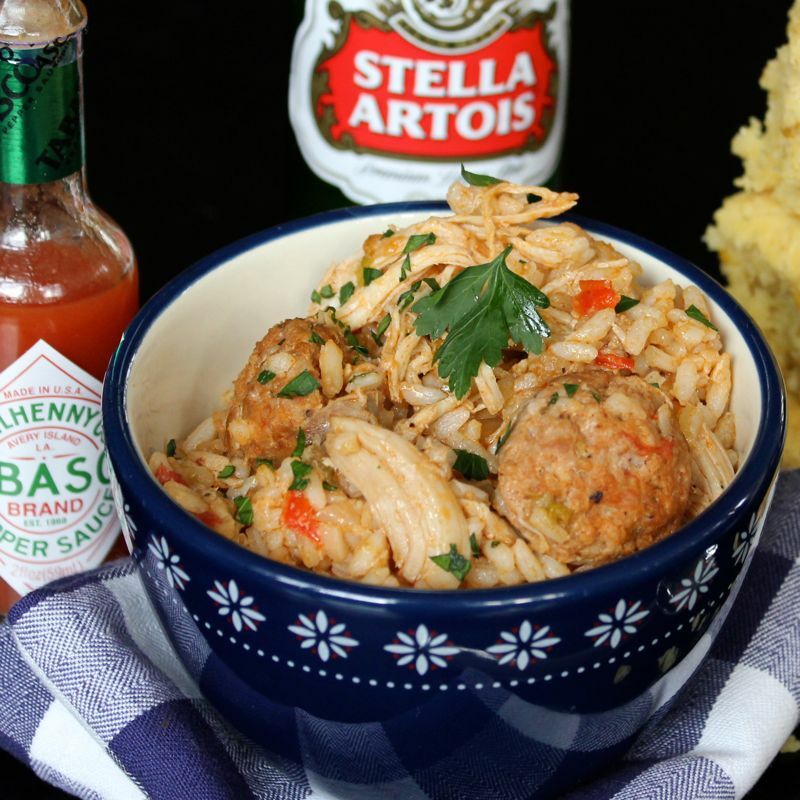 So I guess I would say this recipe is easy to make for the most part. I’m sure other folks have much more mad phyllo dough skills than I possess and would find making this pie a breeze! It really is quite tasty and hip to boot. You can’t beat that now! Preheat the oven to 350°F. 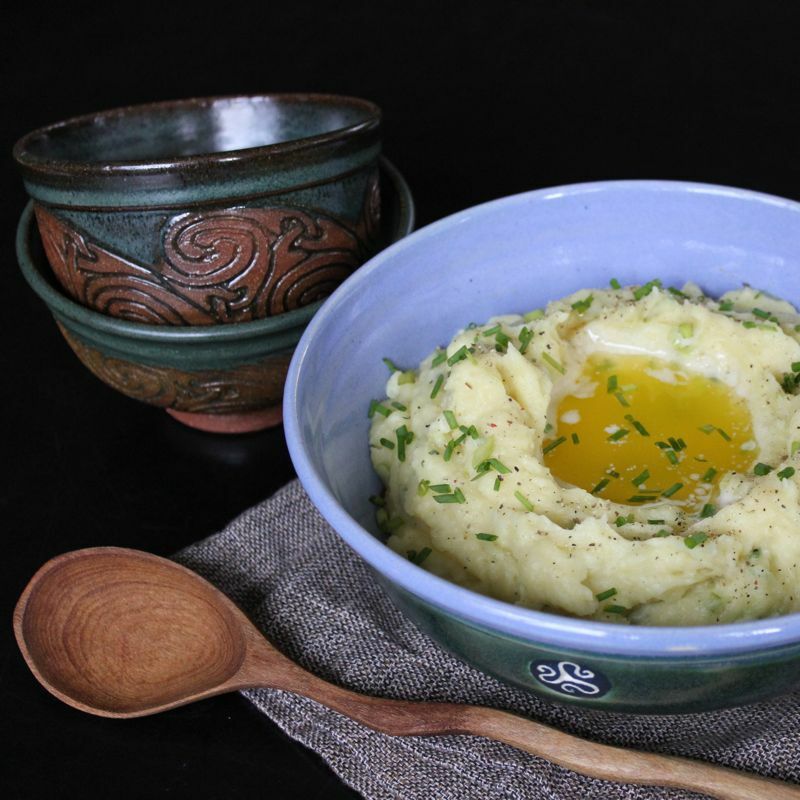 Cook the potatoes in a saucepan of boiling water for 5 minutes. Drain and set aside. Melt half of the butter in a skillet and cook the chicken for 5 minutes, or until browned all over. Add the leeks and mushrooms and cook for 3 minutes, stirring. Stir in the flour and cook for 1 minute, stirring continuously. Gradually stir in the milk and bring to a boil. 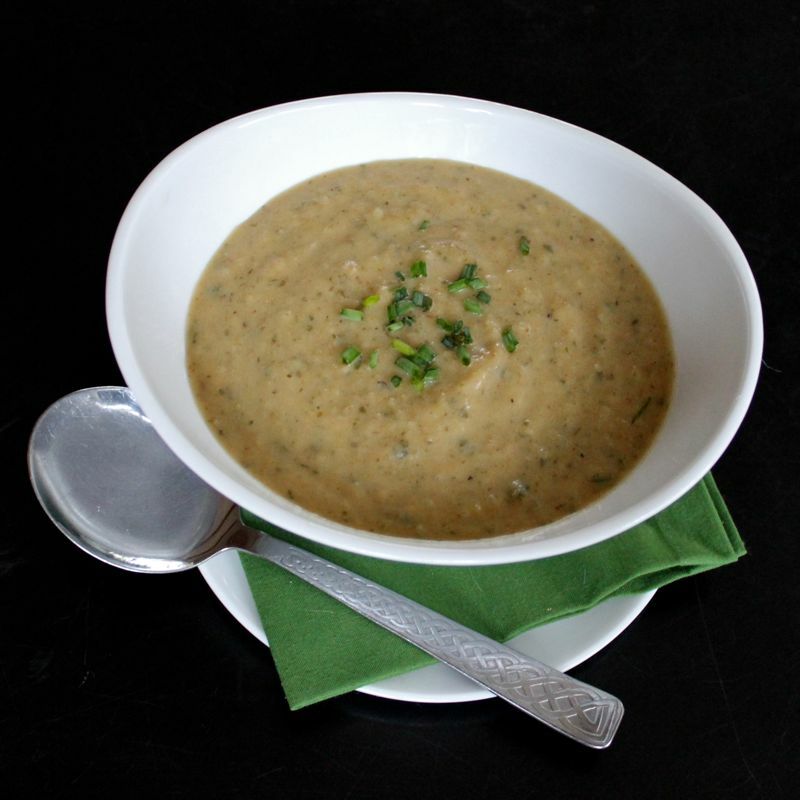 Add the mustard, sage and potatoes, season to taste with salt and pepper and simmer for 10 minutes. Meanwhile, melt the remaining butter in a small saucepan. 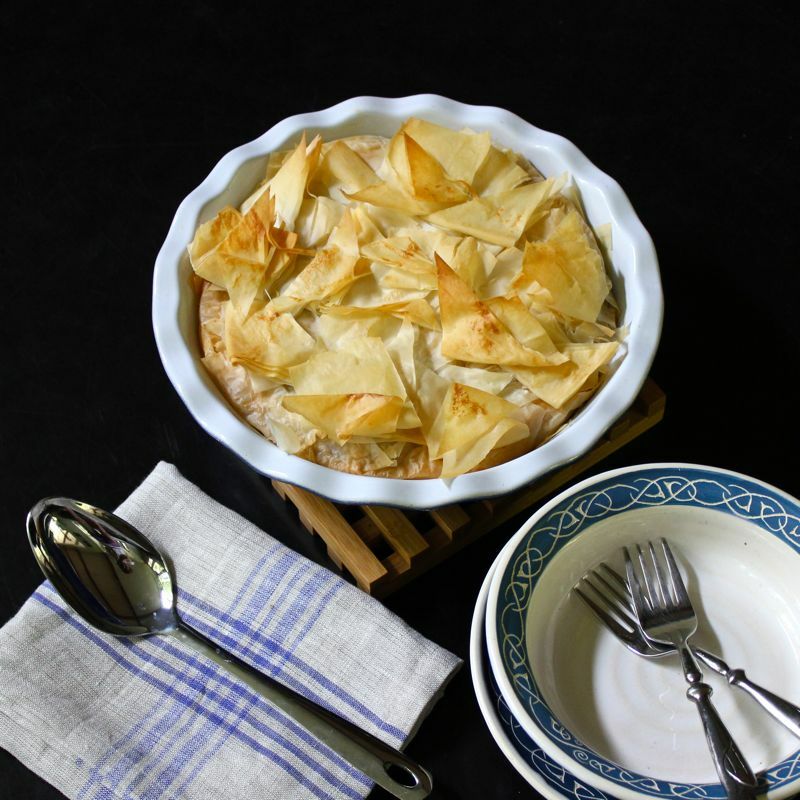 Line a deep pie dish with half of the sheets of phyllo pastry. Spoon the chicken mixture into the dish and cover with a sheet of pastry. Brush the pastry with a little of the melted butter and lay another sheet on top. Brush this sheet with melted butter. 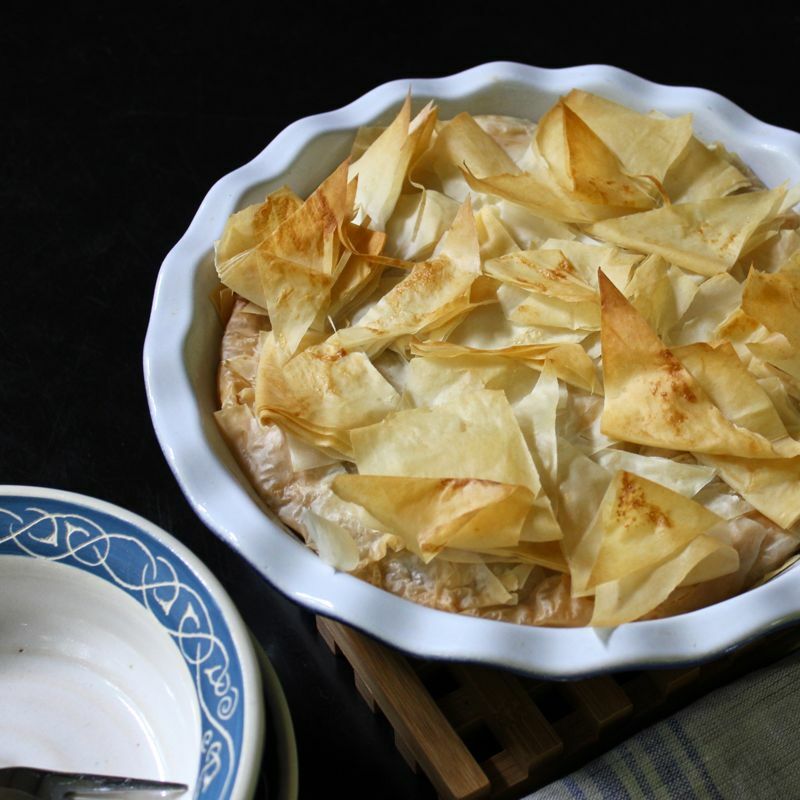 Cut the remaining phyllo pastry into strips and fold them onto the top of the pie to create a ruffled effect. Brush the strips with the remaining melted butter and cook in the preheated oven for 45 minutes or until golden brown and crisp. Serve hot.